Summertime was made for beaches, BBQs and bare feet. For homeowners, it represents the perfect time to tackle those summer home improvements while weather conditions are just right. With wind, snow, rain and ice out of the picture, which can take their toll on respective properties, the summer months are generally the ideal time to assess, repair and make upgrades to homes. 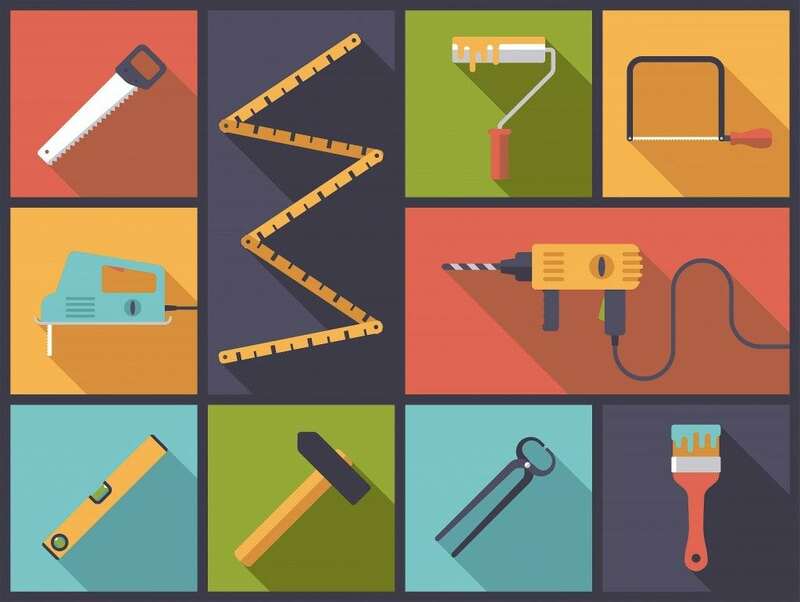 Summer home improvements can range from small repairs to major remodeling projects. All of these projects will require some type of out of pocket costs, but the majority will enhance the overall value of the home. With a wide range of summer ideas on the block, the next question for homeowners is which project to choose from. There are two ways for homeowners to pressure wash their home: hire a professional or do it themselves. Generally speaking, most pressure washers cost around $50-$100 per day to rent. While the costs are low, pressure washing a home requires some degree of skill and experience to ensure the home isn’t damaged. For some, hiring an expert is worth the added costs to ensure the job is done right. A clean, sparkling blue pool is a necessity during the summertime. Keeping it maintained throughout the year will help to eliminate the long-term costs associated with pool maintenance, including unexpected repairs. From having a simple lawn with a few flower beds to an elaborate courtyard with all the bells and whistles, the costs of landscaping and its beautification process can differ dramatically in price. The most common approach, especially for newer homeowners, is installing landscape. The national average cost for this service will range around $3,000-$3,500 depending on the company. Tips: With that said, there are two types of professional landscapers: landscape architect and contractors. The architect does the design, whereas a contractor would execute the work. Before commencing any landscaping project, homeowners should have a plan in place. Whether through a professionally-prepared plan or a rough sketch, a plan will ensure homeowners get the project done on time, and on budget. Another option is installing a smart thermostat such as Nest. These Wi-Fi-enabled thermostats, which are controlled by a homeowner’s smartphone, have been proven to save 10-12 percent on heating costs, and 15 percent on cooling. In addition, Nest has partnered with Southern California Edison and other energy companies to provide customers with a Nest smart-thermostat. In terms of pricing, the cost of the thermostat including installation will cost anywhere from $99-$250 per device. Generally speaking, the costs of a installing a whole house fan will range depending on several factors. This includes the cost of the fan, the labor and the materials. Homeowners can expect to spend anywhere from $1,000-$1,200 per fan. It’s important to note that while replacing windows won’t require homeowners to obtain a permit, cutting a hole in the wall to perform the job will. Homeowners will need to speak with a window professional in order to acquire the necessary permits to perform the work. The addition of a deck can cost anywhere from $1,200 to $10,000 depending on the design and materials used. The popularity of wood decks isn’t just for the appearance, but the costs associated with it. Installing a wood deck a home is significantly cheaper than other materials such as steel, and it retains its value very well. Summer home improvements are all about the beautification process of one’s home, and ensuring its maintenance through the fall and winter months. Done right, these summer projects can add significant value to a home, as well as provide long-term savings in the form of energy efficiencies.